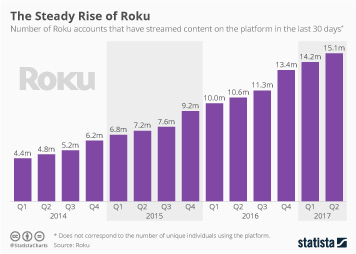 Roku, the maker of a popular TV streaming box that enables users to stream content from third-party providers such as Netflix, YouTube and others to any TV, has filed for an IPO. The company plans to list shares on the Nasdaq stock exchange and is reportedly seeking a valuation of roughly $1 billion. 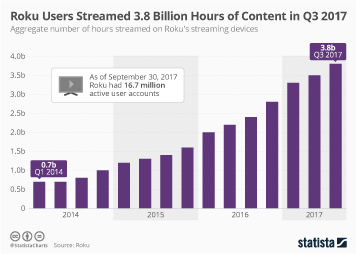 According to the company’s official registration filing, Roku had 15.1 million active users at the end of June 2017 who streamed a total of 6.7 billion hours of content in the first half of the year. The company lost $24 million on $200 million in revenue during the first six months of 2017. 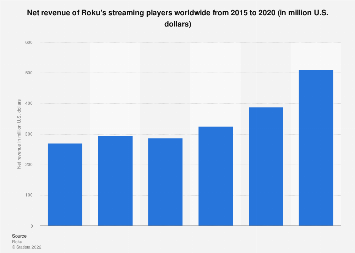 Having been an early entrant in the OTT streaming device market, Roku is facing intense competition these days. Industry heavyweights such as Apple, Amazon and Google all sell similar devices and all of these companies have much deeper pockets than Roku has, IPO proceedings notwithstanding. 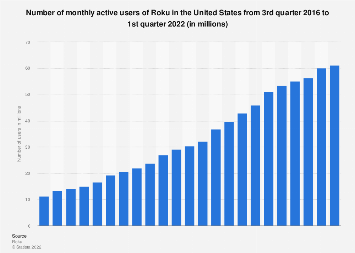 Thus far however, Roku appears to be doing a remarkable job of holding its ground against its powerful rivals. According to comScore data, Roku’s sticks and boxes were the most popular OTT streaming devices in the United States in April 2017. This chart shows how many households in the United States own streaming devices from leading brands. Polscy migranci w Europie – czy wrócą do domu?